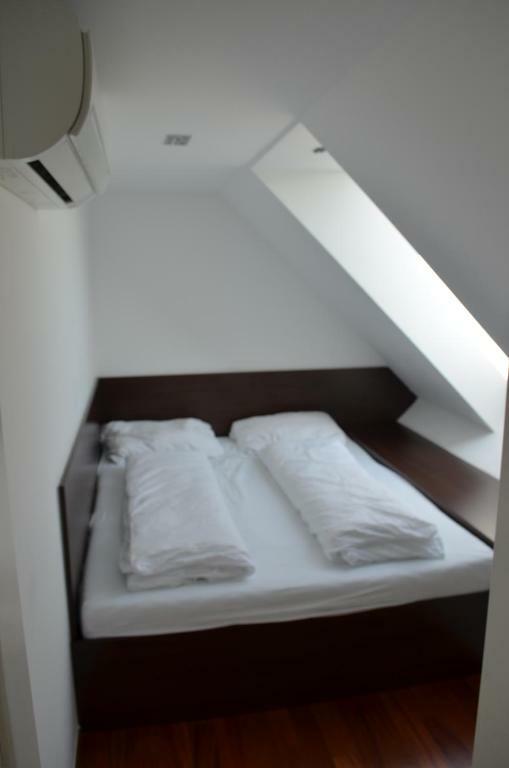 Double bed oo, good matress , though not long ...1.85m L only and between two walls.. 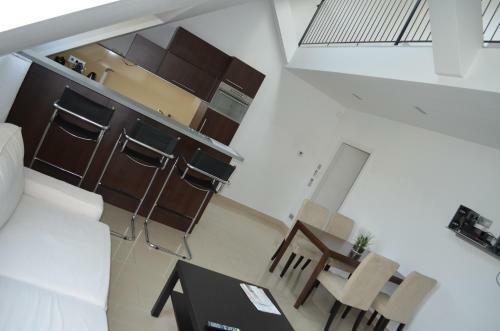 The appartment is in an Autro-Hungarian building style renovated to new. The flat look bigger in the pics...it will accommodate 4 people tightly. Very Clean and new. Easy access to the metro so very good location. Perfect for our stay. Peaceful location, close to the U-bahn, easy to find and affordable parking house near by. The coffee machine. The heating system. And the whole system with the codes at the doors. Independencia al entrar y salir. Cama súper comoda. I liked everything!This was the best apartment ever! We stayed in penthause apartment on the top floor. 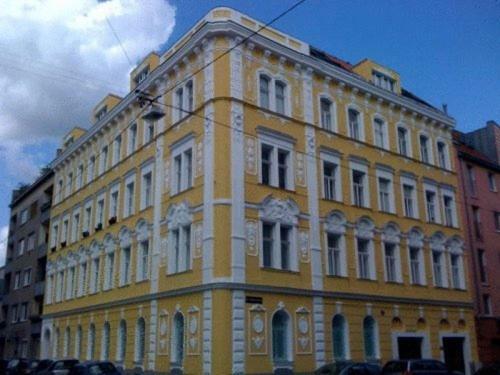 It is a two floor apartment, very luxuriously decorated, very clean, excellent communication with the owner, near the Ubahn wich is a direct link to the city center! All the best! Top reviews! Nice an celan appartmentpossible parking in the street, possible late "check-in". Very good communication with the owner. - Straight-forward access to the apartment through two code systems at the main entrance of the building and the apartment. - The owner was helpful in giving permission for earlier check-in of one hour and later check-out of one hour. - The variety in lighting designs around the flat. - The upper window at the main entrance which can be manipulated electrically. It was really quiet, clean and the beds were excellent. 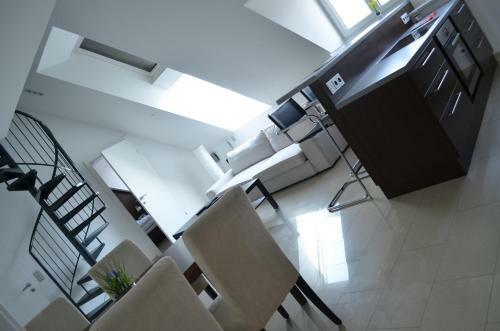 Lock in a great price for Lifestyle Apartments Wien – rated 8.3 by recent guests! 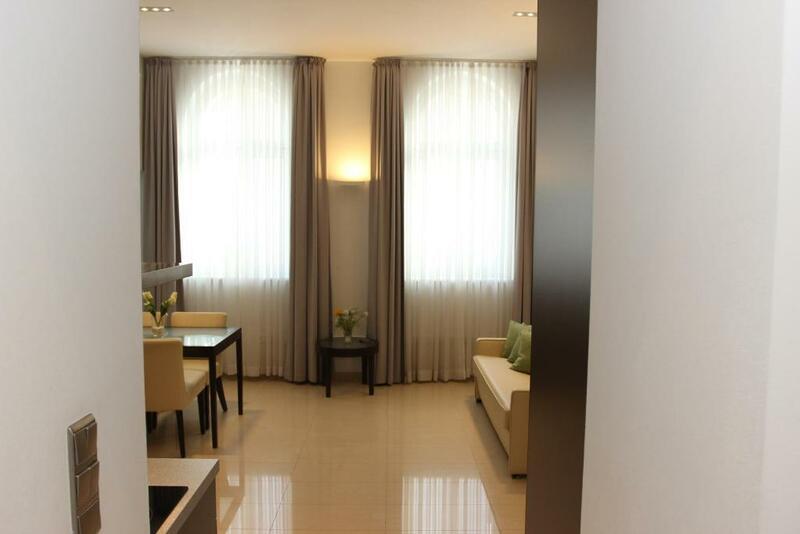 Lifestyle Apartments Wien This rating is a reflection of how the property compares to the industry standard when it comes to price, facilities and services available. It's based on a self-evaluation by the property. Use this rating to help choose your stay! 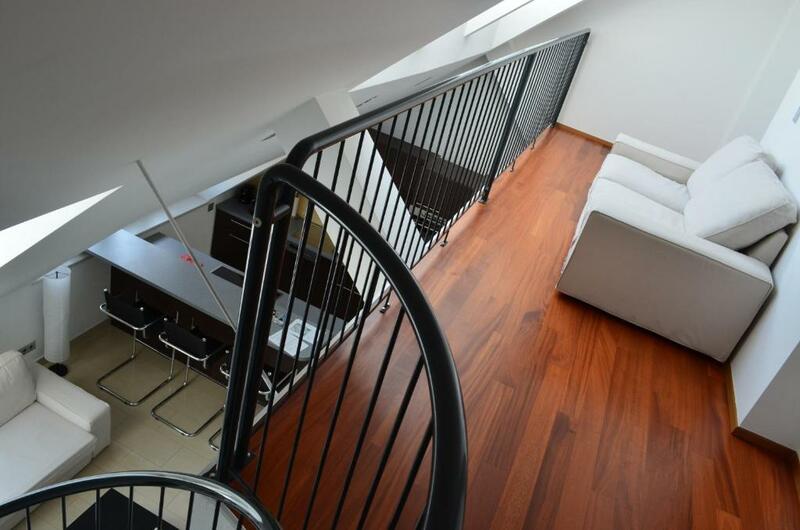 These luxuriously furnished apartments enjoy a quiet location in a renovated 19th-century building, 650 feet from Vienna's Längenfeldgasse Underground Station (lines U4 and U6). Free WiFi is available and the city center can be reached within 8 minutes by underground. 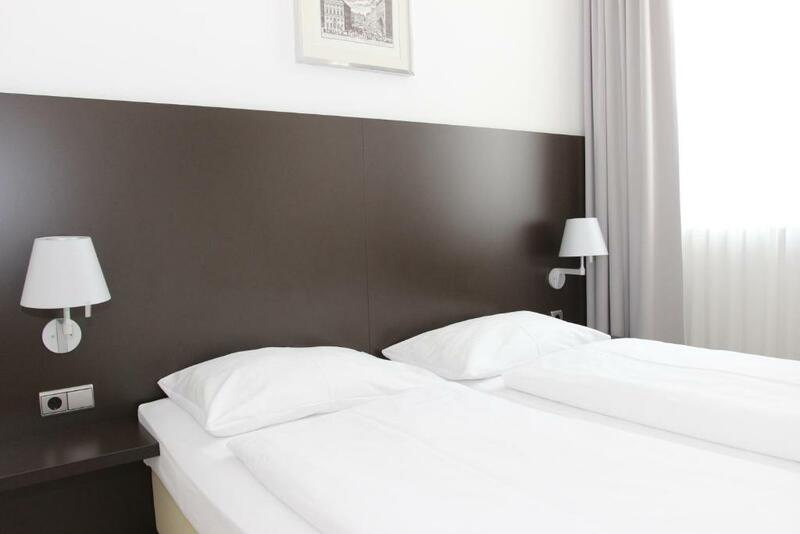 All units at Lifestyle Apartments Wien feature a bedroom with a flat-screen TV, a luxury bathroom with a glass shower, and a modern, fully equipped kitchenette with a Nespresso coffee maker. The spacious living rooms are at least 66 ft² in size and feature a flat-screen TV, a DVD player, a hi-fi system with an iPod connection, and a large dining table with 4 chairs. 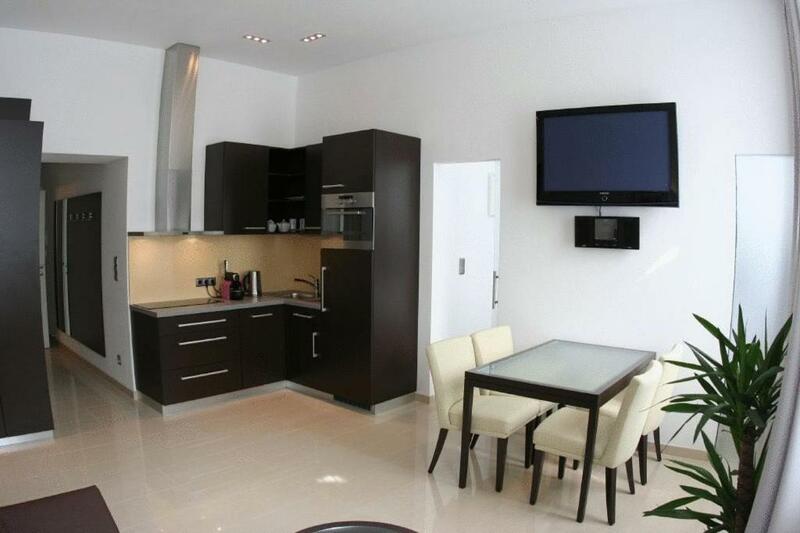 All Lifestyle Apartments have underfloor heating and room heights of over 9.8 feet. Schönbrunn Palace is only 2 underground stops away from Lifestyle Apartments Wien and the Meidling Train Station is 4 minutes away. Many shops and restaurants are close by. 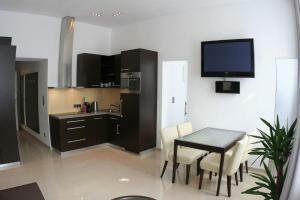 When would you like to stay at Lifestyle Apartments Wien? Please note that the rate is based on 3 guests. Maximum occupancy is 4 guests (see Extra Bed Rates). House Rules Lifestyle Apartments Wien takes special requests – add in the next step! Lifestyle Apartments Wien accepts these cards and reserves the right to temporarily hold an amount prior to arrival. For nonrefundable rates, the fee will be charged at booking. Please note that the stated cleaning fee includes bed linen and towels. Please note that all apartments are nonsmoking and special cleaning fees apply if this regulation is violated. Please inform Lifestyle Apartments Wien about the number of people coming and about your arrival time. This can be noted in the Comments Box during booking or by contacting the hotel 1 week before arrival by the latest, using the contact details found on the booking confirmation. There is no reception. The property will send you an e-mail with check-in instructions (PIN for entering the apartment) and the WiFi Code 1 day prior to arrival. You will enter the apartment on your own. Please inform Lifestyle Apartments Wien of your expected arrival time in advance. You can use the Special Requests box when booking, or contact the property directly using the contact details in your confirmation. It wasn't pleasant experience in Studio apartment, Nr.5. We sent 3 or 4 emails, before we get to apartment and we didn't get the answer!!! We asked pictures of bathroom in Studio apartment and tipe coffee machine, we didnt get answer. Toilette looks totally different from other apartments. Coffee machine in pictures don't exist. But we came in, we emailed and call that the oven don't work. Answer was, it will be fixt tommorow. Owner didn't came and tried to fix it or let us know it's not possible. That's very unprofessional! In the end, we had to throw the food we bought for that night.☹️☹️☹️ Also we wanted to have TV, but the remote controler of TV didn't work. We wonted to tell that in persons, but no one came or call. The hole time we didn't have TV.. When we tried manually, he went to stand by. The next thing, the dishes came out dirty from dishwasher. It's sounds like he's doing the job, you can hear the water, but the hall 3 times came out dirty! We must hand wash dishes the hall time, and the dishwasher was only there for rinse dishes. 😢 We tried to tolarete very dirty cauch and windows because we had blanket and curtains, but when we saw dirty toilette, and long black hairs from someone else in combination with defective devices, it broke us down! Considering everything we sad earlier, we felt totally tricked! 😤 We paid full amount of money, and he didn't deliver the service. He's advertising services which is not actually offering. 5 minutes to Metro. Pin entry. The walls were not in good condition. One of the beds had some problems that need fixing. It is far away from the Center by foot. 20 m by Metro. A little bit smaller than I have expected. But acceptable for short-time stay for 4 people. There were ants in the apartment, a colony. Please ask the owner which room you book. In the photo album you have pictures of the whole building. Our apartment had more to do with a bedroom and was too small for the price. The bathroom was very old with no modern comfort. The bathroom was horrid, dirty toilet and shower, towels thin, air conditioning didn't work, tv didn't work, ironing board was tiny and stand was broken, washing machine "spin" cycle did not work and no clothes rack. 3 coat hangers in the ? Wardrobe. No bulb in the one and only bedside lamp. Contacted the owner who we never met as it was keyless entry and he came and fixed the air conditioner when we were out but did not fix the tv or put a bulb in the bedside lamp. Contacted him again and no response! Excellent facilities, quiet and clean. The neighbourhood and the facilities of the room.